Storage Facilities to save you space, time and money. AmberLina take pride in catering to a broad range of clientele throughout London & UK with our storage facilities, which is comprehensive, reliable and flexible – qualities that are essential to help businesses in this market. Storing your stuff can be stressful, but AmberLina can make it a much easier process by removing the need to move your things to a storage unit - we will do it all for you. Our mission is to make storage cheap, because we have negotiated exceptional prices with our network of storage facilities. We only deal with secure storage facilities that provides assurance that your goods will be safe and secure for the duration of the storage. We also offer a service called 'Storage Near Me' enabling customers take advantages of our local storage solutions. On-demand storage facilities is perfect for domestic and commercial use. AmberLina will come to you with durable and strong storage boxes; we will then take your stuff away to the chosen storage facility at a time that’s convenient for you. Book our Storage service: Book online and we'll deliver your boxes for free. We come to you with strong, water resistant storage boxes. Lets Get Packing: Pack and have the boxes ready for us to take away. AmberLina will Then Store it: Your boxes will be stored with us for as long as you need. Our secure storage facilities ensure your belongings and goods are in a safe hand. Promise to Deliver: Contact us and let us know when you want your belongings or goods back. We'll get it back to you in under 48 hours. London is one of the best and busiest cities in the world, but with high-rent or purchase prices for flats, buildings and the size of a cupboard, space is a very lucrative commodity. Whether you’re moving house, leaving University for the summer, declutter or even keep your business goods or temporary imported stock in our networked secure storage facilities, our hassle-free storage solution means you can save space without having to break your bank account. Other services includes courier delivery services and logistics services. 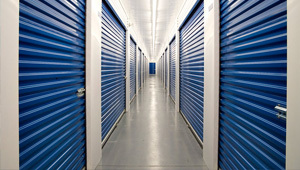 Find out how you can take advantage of our secure storage facility services, contact us.